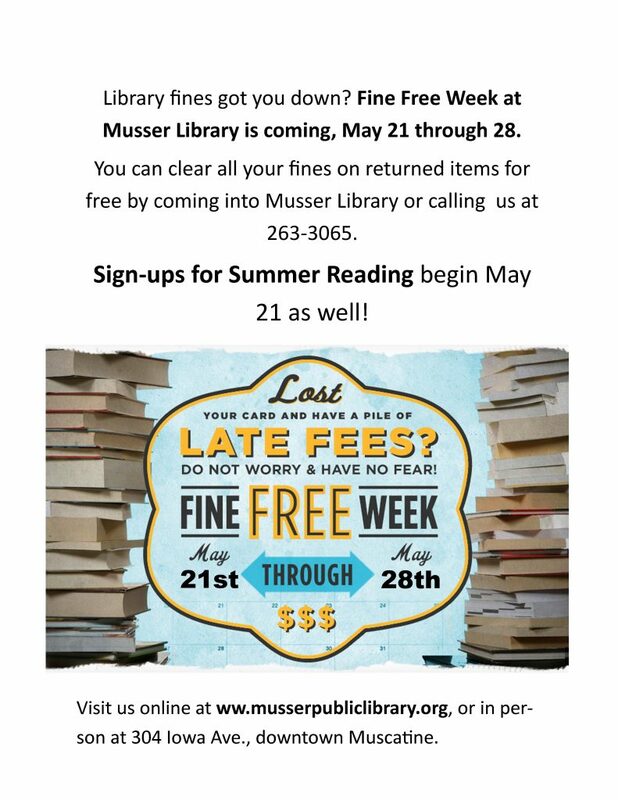 You are here: Home > MCSD News & Alerts > MCSD News & Alerts > District News > Fine Free Week 2016 at Musser Library! Clear your fines on returned items for free at Musser Library during Fine Free Week 2016! Come into Musser Library between May 21 and May 28, or call the library at 263-3065, to have your fines cleared for free that week only! Sign up for Summer Reading at the same time and get ready for a summer of fun and learning.